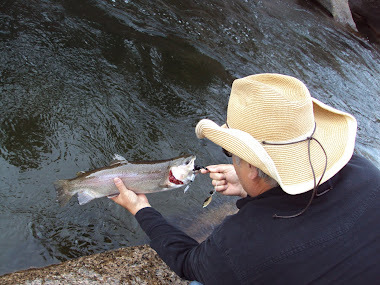 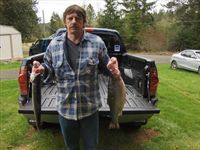 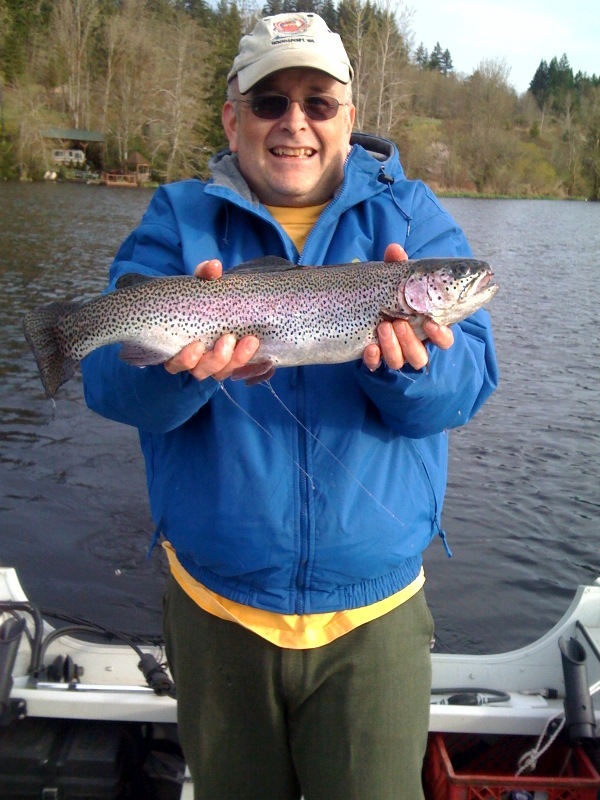 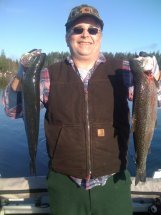 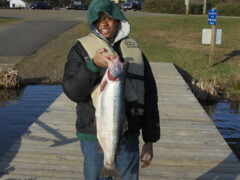 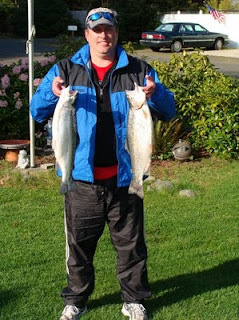 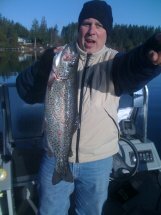 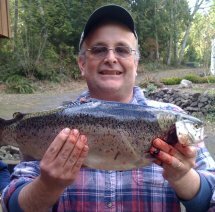 Here's some pictures sent to us from anglers in Washington State. 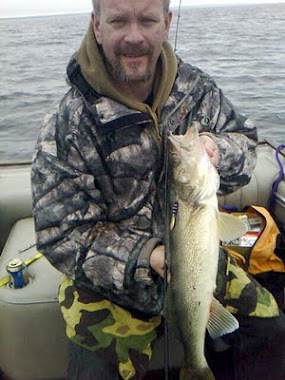 We sponsor a forum on WashintonLakes.com and this year will be sponsoring two Muskies Inc Chapters Chapter 57 - NWTigerPac.com and Chapter 60 - MountainMuskies.com Stay tuned for some Washington State Muskie pictures! 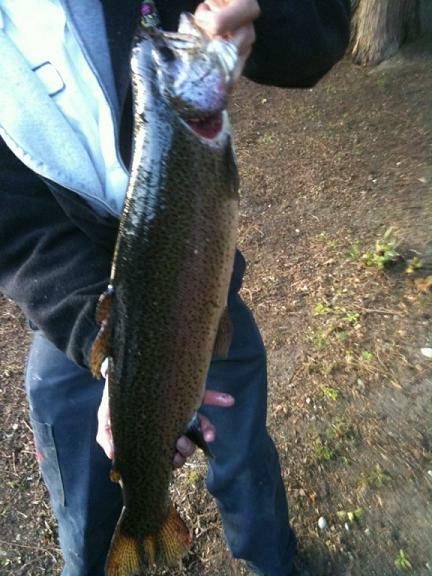 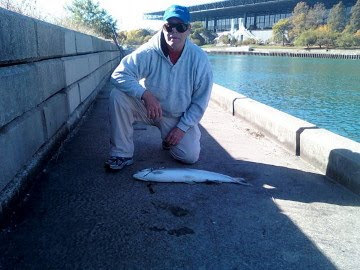 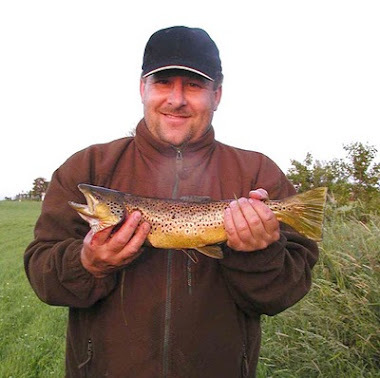 Many of these are hybrid Rainbow trout called Triploids, big fella's! 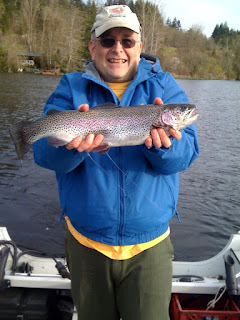 Thanks for all the excellent pictures. 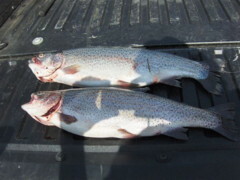 Many of these were caught with 1/8oz Armadillos, primarily the Red and Orange F117.